A tummy tuck, or abdominoplasty, is the surgical removal of excess skin, fat and a tightening of the underlying tummy (abdominal) muscles. This is designed to help improve the shape and tone of your stomach region when other options (such as diet and exercise) have failed to work. This can immediately make you look and feel better. However, it does not strengthen your abdominal muscles or ensure your muscles are working optimally. Following surgery, it is important to ensure your core (this includes your deep abdominal muscles and pelvic floor) is working properly. Physiotherapy helps you learn to use these muscles correctly again.Many plastic surgeons will recommend physiotherapy prior to and after surgery. Teach your muscles how to work correctly, to prevent problems such as back, pelvis or hip pain. Help you achieve optimal results following your surgery. Help you reach your goals, such as returning to work, gardening, exercise or sport in a timely manner. 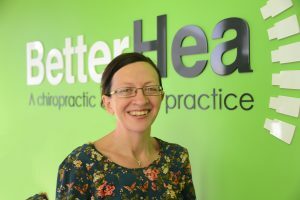 At Better Health our physiotherapist Janette, has completed specialised training in Pelvic Floor and Women’s Health Physiotherapy. On the initial visit, a thorough assessment will be completed. Any risk factors for pelvic floor weakness will be addressed. This will include your obstetric, surgical and medical history, as well as an evaluation of your bladder and bowel health. The physical examination will include an assessment of your pelvis, spine and abdomen. Real-time ultrasound. This is a non-invasive procedure useful for evaluating muscle activity in the back, abdomen and pelvic floor. It is useful for both diagnosis, assessment, and rehabilitation. For women, a more detailed assessment of your pelvic floor function can be achieved with a vaginal examination. This option can be discussed with Janette at your initial consultation. Following your initial visit you will receive individual, tailored advice. You will be given a safe, supervised exercise program to help you recover from your surgery. Janette has over 15 years’ experience in the field of Women’s Health and Pelvic Floor Physiotherapy. She has gained extensive experience in the assessment and management of incontinence, pelvic organ prolapse, bowel disorders, sexual dysfunction, pelvic pain and antenatal and postnatal care. She has completed postgraduate studies in Continence & Pelvic Floor Dysfunction, Women’s Health and Acupuncture. Poor sleep? Five tips to help stop your bladder waking you up at night Bloating – Why is This Happening to Me?!? !